It will be another cold day in Boston. Bitter cold winds will slowly diminish Tuesday and Greater Boston will see temperatures climb back up into the 20s — although it will feel colder due to lingering windchill — with the prospects of even warmer weather just around the corner. The National Weather Service has issued a windchill advisory for Greater Boston through 8 a.m. Tuesday and warned that windchills could remain as low as minus 20 degrees through the morning. Sunny skies and fading wind will slowly warm things up over the course of the day, forecasters said. Still, the Tuesday morning commute is expected to be a slow and slippery one and the MBTA has warned commuters to allow for extra time. 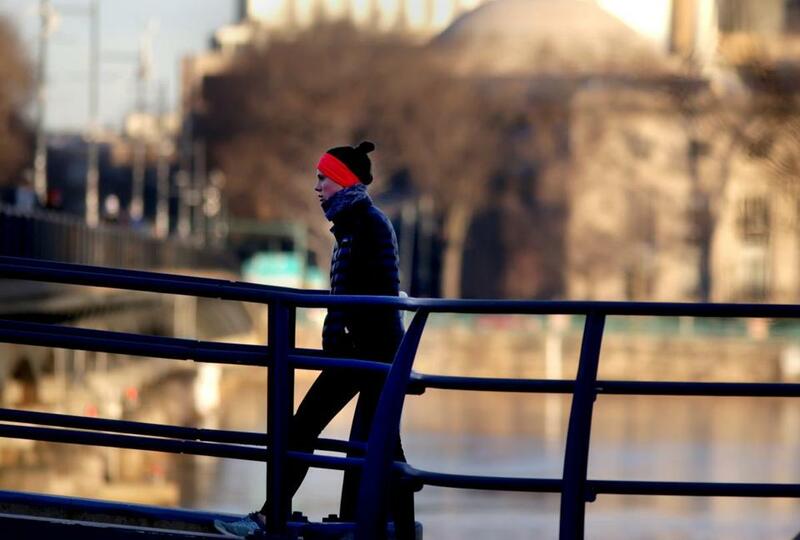 The weather service cautioned anyone stepping outside to put on a hat and gloves and emphasized the ongoing increased risk of hypothermia and frostbite due to windchill. A high of 10 degrees in Boston on Monday set a new record for Jan. 21, breaking a record of 12 degrees set back in 1985, the weather service said. Wednesday and Thursday look more promising for warm air, forecasters predict. Temperatures could reach into the 40s Wednesday evening and on Thursday, Greater Boston could see 50 degrees, according to the weather service. Those rising temperatures are likely to be accompanied by rain, which forecasters believe will begin Wednesday afternoon. Peter Bailey-Wells can be reached at peter.bailey-wells@globe.com. Follow him on Twitter @pbaileywells.